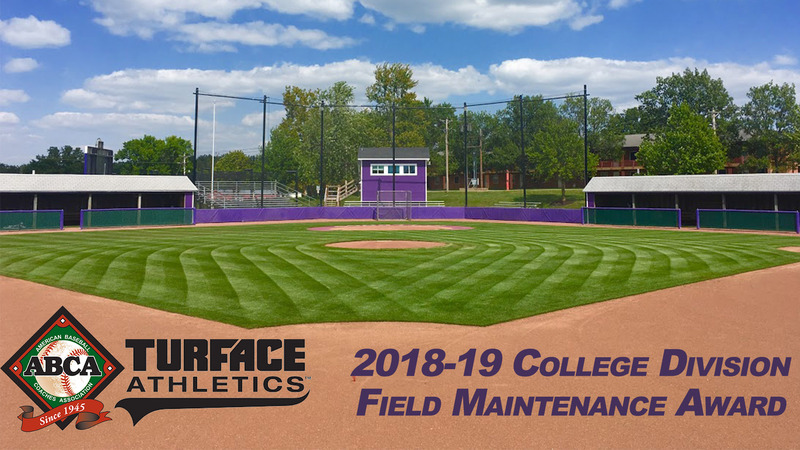 The Truman Baseball Park was awarded the American Baseball Coaches Association/Turface Athletics Field Maintenance Award for the 2018-19 season. Presented by Turface Athletics and the ABCA since 1995, the Field Maintenance Award winners receive a plaque recognizing excellence in field maintenance, plus one ton of Turface MVP conditioner and $400 of equipment from Turface Athletics. Head coach Dan Davis and the program were recognized by the ABCA in their clinic hall during the convention, Jan. 5.